Home » Candida and Digestive Health	» Can Probiotics Kill Candida? Ever since probiotics emerged as a favored tool for promoting digestive health, a lot of people have asked this question: can probiotics kill Candida? Before we present the answer to this question, let us first look at what Candida is and what it can do to our body. It is a type of yeast that can be found in the intestinal flora of humans and animals. They are basically harmless, but can cause a lot of health problems if they are allowed to thrive and the human host does not have enough protection against their invasion. An overgrowth of Candida albicans can cause infection or the disease called candidiasis. More often than not, people with an ill-balanced digestive system and those who are immunocompromised are the ones susceptible to Candida overgrowth. An existing medical condition can also promote the growth of this fungus since diseases usually weaken the immune system of a person. 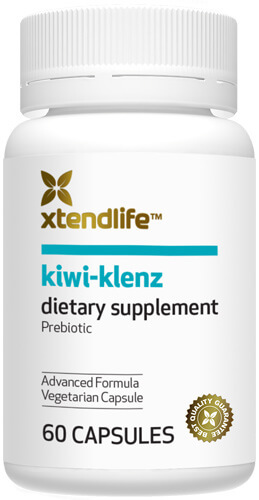 Probiotics have been put forward in some studies as an effective protection against Candida. Probiotics are live microorganisms that mimic the function of the good bacteria already present in our gut or digestive system. A person eating probiotic foods or taking probiotic nutritional supplement may be able to top up the level of friendly bacteria already present in his stomach. These good bacteria are needed to protect the digestive system from bad bacteria and other microorganisms that may cause diseases. Probiotics are not from natural sources but are actually created or manufactured. Microbes like bifidobacteria and lactic acid bacteria are the most commonly used probiotics. There are various strains of these microbes that are used in different probiotic products and each has its own function. To the question – can probiotics kill Candida? – the answer is – not directly. The LAFTI L10 strain of Lactobacillus acidophilus has been found to have the ability to help in clearing Candida albicans from the intestinal flora by inducing an immune response to this specie. It does not directly kill the yeast since it is a natural part of the gut flora, but it can help enhance the digestive system’s resistance against its negative effects. The problem with probiotics though, is that they can be easily destroyed by the acid in our stomach and by most manufacturing techniques. By the time they reach the gut, their efficacy may have diminished or may have been destroyed altogether, so it is possible that they will not be able to perform their intended function once they get to their destination. However, a new set of digestive health studies have identified a supporting material that can help the good bacteria in our stomach battle negative forces, and these are called prebiotics. These are non-digestible food ingredients that serve as food to the good bacteria in our gut, thereby helping promote their growth and their activities. Prebiotics are resistant to heat, cold and manufacturing processes and can reach the stomach without their original form getting altered. Can probiotics kill Candida? Not directly. But they can help provide a protection against this fungi, but only if prebiotics are also present to provide them food and strength.